76 banks have a branch or HQ office in the city of Chicago. Of these 76 banks, 20 put 100% of their deposits to work in Chicago. Burling Bank is one of these banks. *Deposits put to work is the share of the bank's deposits held in branches within the local area as a percentage of the bank's total domestic deposits, as reported on the FDIC Summary of Deposits Survey. Data updated Q1 2018. **Real economy financing, which Mighty also refers to as community or neighborhood financing, includes the sum of total assets in the bank that finance business loans, housing loans and securities, construction loans, municipal loans and securities, farm loans, and consumer loans as reported on the Financial Institutions Examination Council (FFIEC) Call Report. Examples of non real economy financing by banks includes assets in the bank, like trading assets, used to invest in financial markets. Data updated Q1 2018. Burling is a leader in serving Chicago’s fintech and small business community. Meet business owners who choose to keep their bank accounts with Burling. 93% of Burling’s small business loans are made in Chicago. As a small business, Burling Bank focuses on working with other small businesses in Chicago, from housing developers to yoga studio owners to local fintech companies. As illustrated below, Burling Bank makes a majority of its small business loans to small businesses that call Chicago home. Meanwhile, Big Banks in Chicago make the majority of their small business loans to businesses located outside of Chicago. When you bank your deposits with Burling, your money is used to fund small business loans in Chicago. *The number of small business loans originated by Burling Bank in the Chicago MSA as a percentage of all small business loans originated by the bank nationwide, as reported on Burling Bank's 2016 CRA Performance Evaluation, the most recent available for this bank. **The number of small business loans originated by all "Big Banks in Chicago" in the Chicago MSA as a percentage of all small business loans originated by these banks nationwide, as reported on each bank's 2016 CRA Disclosure Report, the most recent available for these banks. "Big Banks in Chicago" includes banks with more than $50 billion in total assets and with a branch in the Chicago metro area. 80% of your money on deposit in Burling funds communities. Different banks put depositors' money to work in different ways. 80% of your money on deposit in Burling Bank is put to work to finance the real economy*, or the neighborhood economy or communities, primarily in the form of loans to business, housing, and public works. Translated, this means that $80 of every $100 you have on deposit with Burling Bank finances communities. Dollar for dollar, Burling Bank puts $31 more financing into communities for every $100 on deposit than Big Banks with a branch in the Chicago metro area. *"Total Dollars in Bank Invested in the Real Economy" include the sum of business loans, housing loans and securities, construction loans, municipal loans and securities, farm loans, and consumer loans as a percentage of total bank assets as reported on the Financial Institutions Examination Council (FFIEC) Call Report and the FDIC Summary of Deposits Survey. "Big Bank Industry Average in Chicago" includes banks with more than $50 billion in total assets and with a branch in the Chicago metro area. Average weighted by bank size. Data updated Q4 2017. BridgeFT, located in the Chicago Loop, builds highly automated SaaS technology for financial advisors to run their business. BridgeFT Cofounder & CEO Rasheed Hammouda spoke with Mighty about his company’s relationship with Burling Bank. Mighty: How and why did you choose Burling Bank? BridgeFT: We were introduced to Burling a couple years ago by others in the fintech community. We were pretty unhappy with the relationship we had with our previous bank at the time (a large national institution), and were looking for something new. We now bank with Burling. It’s good for us to work with a bank that shares our mission to build the local startup community. M: What sort of banking do you do with Burling? BFT: Burling is our primary bank for our entire business. M: What distinguishes Burling from other banks you've worked with? BFT: If you need attention from their top executives, the team is there for you. They have deep roots in the city, and as a result can help with introductions. Also, Burling's mobile and online experience is far superior to the larger bank we previously banked with. M: Tell us a bit more about BridgeFT. BFT: We are growing fast and expanding our team. We are looking for people who want to help us scale as a company and as an ally to the Chicago startup community. Amanda Williams is an architect-turned-artist and owner of AW Studio based in Bridgeport, Chicago. A native of Chicago’s South Side, Amanda investigates color, race, and space in her work. Below, Amanda shares a bit about her banking experience with Burling. Mighty: How did you learn about Burling Bank? Amanda Williams: I learned about Burling from my husband. He learned about Burling through his work in Chicago trading, which he did after retiring as a professional athlete. M: What was your first impression of Burling? AW: At first I associated Burling and its downtown location with trading and finance, and for people working in trading and finance. M: Is that still how you see Burling now? AW: I’ve come to see Burling as a neighborhood place. People there know your name when you walk in. They’ve seen my girls grow up. When I was growing up, my parents’ accounts with big banks seemed like a necessary evil. Their account with a credit union, was the closest they came to the personal experience of a small bank. Burling to me feels like a small bank you can trust. M: What banking do you do with Burling? AW: My husband and I have almost all of our accounts with Burling: checking, savings, and business accounts. I’m an artist, not a trader, and I enjoy keeping my business accounts with Burling even though we no longer live near the bank (we live in Bronzeville), and my art studio is located in Bridgeport. M: How is banking different now that you live farther away from the bank? AW: I used to stop in the bank to get cash when I lived close by, which was nice. But this is less of a problem now as I (and everyone it seems) is carrying less cash, and I can manage my banking via the phone and digitally. Burling’s mobile app is great. I can deposit checks with my mobile phone. When I do have to go into the bank, it requires a bit of advanced scheduling on my part for it to fit into my day, but I’m happy to do it because its a local business I enjoy visiting. Who looks forward to visiting their bank!?! I enjoy seeing the team there and maintaining a connection. This feeling should happen a bit more in life in relationship to business vendors. M: Your work has been featured in many outlets: the Museum of Contemporary Art, The Arts Club of Chicago, and the Pulitzer Arts Foundation in St. Louis, to name a few. You’re also a member of the Museum Design Team for the Obama Presidential Center, a 2018 United States Artists Fellow for Architecture & Design, and a Fellow with Leadership Greater Chicago. What inspires your work, and what do you hope your work inspires in others? AW: Neighborhoods are a big influence on my work. I grew up in Auburn Gresham, attended elementary and high school in Hyde Park, now live in Bronzeville, and run my business in Bridgeport. I spend a lot of time thinking about Englewood, which was the location of my Color(ed) Theory painted house project and where I’m eager to support the organizations leading positive transformation. In my work, I feel successful when people are asking questions of themselves about assumptions they’ve made about something they thought they knew. My objective is to really connect with someone on a level that leads them to “imagine if…” and for a moment, from a new perspective about how all parts of the city can thrive. Keep connected to news of Williams’ work via her website, including an upcoming exhibition at the Smart Museum of Art at the University of Chicago (opening January 2019). "This is beautiful! Please, fix it--whatever it takes." “This is beautiful!” Suster implored. “Please, fix it--whatever it takes." Read the full Chicago Reader article: Anti-Demolition Man. "We're a purpose-driven Chicago company and value working with purpose-driven partners and clients." Bottom Line Yoga offers yoga, meditation and corporate wellness classes around the work day for professionals interested in a yoga experience that is uniquely Chicago. The studio has been voted among the top 10 Chicago yoga studios by Timeout and Yelp and is always interested in connecting with professionals seeking to achieve balance in their work and purpose. Wabash Seafood is a family-owned, family-operated company located in the heart of Chicago’s West Side. According to John and Deanna Rebello, "We started Wabash Seafood in 1989 to fill a gap in the city's wholesale seafood market, which was dominated by large corporate distributors at the time. Today we distribute quality seafood to the top chefs in the city. Burling understands small business ethos, the importance of small business relationships, and the importance of setting standards of excellence when making your name in small business." “We're proud to bank local." Located in Logan Square, Logan Arcade promotes offering the best-maintained and most extensive public collection of vintage pinball and video games in Chicago. See the list of pinball and video games offered, here. Akouba is a software company that aims to provide the best user experience in online loan applications for small businesses interested to work with banks and credit unions. Burling has partnered with Akouba to help small business loan applicants complete a Burling loan application online in an average of 10 minutes. "In Burling, we found a partner that is focused on small business relationships and understands the future of fintech,” Rentner said. “Burling is making investments in technologies that serve small business marketplaces." Learn more about Akouba, here. FinTEx is a nonprofit hub committed to growing financial technology in the Midwest. Burling Bank is a founding member of FinTEx and its center of excellence, Currency. According to Michael Busch, Burling Bank CEO, “It’s important to let startups know that there are banks in Chicago that want to encourage what they are doing, and to work with them. A startup may just need a deposit account. They may need a lending facility. They may need introductions to private equity investors. A bank like Burling Bank can provide these introductions and be a valued partner with startups." Listen to Burling Bank CEO Michael Busch and FinTEx Cofounder Lisa Curran talk financial technology growth in Chicago. Audio player not loading? Listen here. Do you value being a client of Burling? Thanks for sharing. 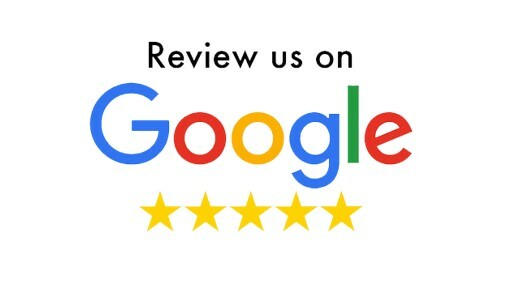 If you value being a client of Burling and the Chicago community impact your banking with Burling creates, please consider giving Burling a full five star review on Google and Facebook. Burling is working hard to build our community footprint in Chicago and thank you for your support. Transfer funds between Burling accounts. View account activity, electronic bill pay & payment history. Deposit checks. Locate Burling's network of surcharge-free ATMs. Download the free Burling app for Apple or Android. Go green: set up direct deposits and paperless e-statements. Direct Deposit is a fast, easy, and reliable way to have payments from your employer or other payees electronically deposited into any Burling Bank checking or savings account with immediate funds availability. Submit your information below and a team member at Burling Bank will be in touch. Thank you for your interest to set up direct deposits and/or paperless e-statements with Burling Bank. Your information has been successfully submitted to the Burling Bank team. A Burling team member will be in touch. Access Burling's 24-hour bank by phone system. Available every single day of the year, at no charge. Check your account balance, transfer funds between your accounts, determine if a check has cleared, verify deposits and withdrawals. Use your Burling debit card to access cash at over 60,000 ATM locations nationwide. For your business, for your life, for your convenience. Most of your banking with Burling can be done with the simple click of a mouse or tap of your finger. Speak with a Burling team member for help in managing your account for convenience. Call bank now: 312-408-8400. Manage electronic bill pay & expedited payment. Transfer funds between accounts. Send money person to person with Pop Money. Set up notification alerts via email and SMS text message. Export account data to QuickBooks, Quicken, and Microsoft Money. Access check images. View account activity and payment history. Report questions or problems online. Order stop payments. Reorder checks. Send secure correspondence. Initiate recurring, occasional, or one-time bill payments. View payment history reports. Monitor pending transactions. Expedite payment for same-day or overnight. Send and receive money by simply emailing or texting. Centralized deposit processing and reporting. Reduced transportation costs. Immediate transaction confirmation. Improved funds availability. Reduced return item risk with faster check clearing. Client support services.